Have you ever wondered how you can connect the Easter Bunny to Jesus, the crucifixion and resurrection? 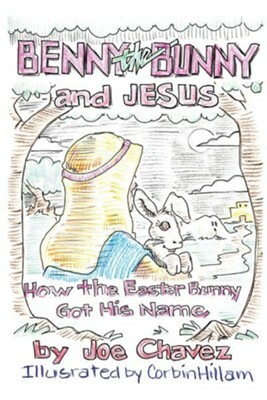 Well, you can stop wondering In "Benny the Bunny and Jesus," author and father Joe M. Chavez tells the tale of how a curious little bunny wandered into the garden of Gethsemane and ended-up following Jesus through the dramatic events of the Easter weekend. You will read how Benny took what he saw and learned from the crucifixion and resurrection and became the first Easter Bunny by sharing with children everywhere the sweet gift that God gave to us-His Son, Jesus Christ. And yes, Benny shared some candy and colorful eggs too When children ask you where the Easter Bunny came from, or why there is an Easter Bunny, now you have an answer Joe M. Chavez is an inspirational speaker based in Littleton, Colorado. He has a beautiful wife, and four awesome children, ages 26, 23 and twin 4 year olds. I'm the author/artist and I want to review Benny the Bunny and Jesus.